Don’t get me wrong, I’m all for lending a helping hand to the poor and destitute. I’m also supportive of any actions that make day-to-day life more pleasant. But do message based songs of this ilk have to be so sanctified about it?! Let me explain, Matisyahu can sure talk a good fight, full of well-intentioned statements and viscerally optimistic sentiment, yet for all the resolute moralising and grandeur, it oozes certain amounts of contrite. The smooth slick R’n’B production of ‘One Day’ – the leading single from the upcoming Light LP – hardly provokes or causes any shock-waves, bumbling along as it does in stereotypical fashion. A mix of feel-good reggae with swaying hip hop, this is his most commercial outing yet. It comes as no surprise that this song was used as the official theme to the Vancouver Winter Olympics, and that it has attracted a zillion views on Myspace and Youtube, not when Matisyahu manages to craft a sprightly radio-friendly acute anthem in the mode of The Black Eyed Peas Where Is The Love. He even drags in Akon to add some soulful warbling glitz on an alternative version, which does little to improve the original. An attempt to give the song some edge is administered by dub-step producer Jakwob, whose subtle remix fails to impress. 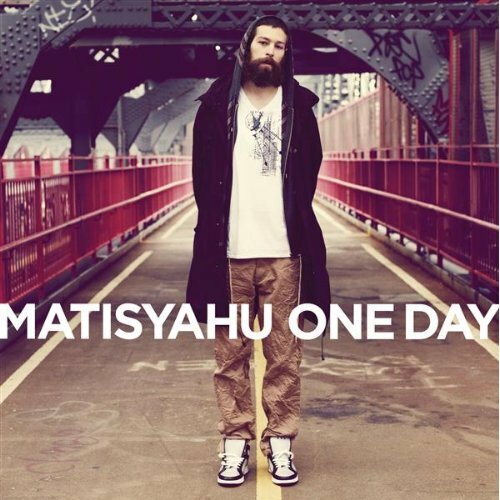 The press release states, “Matisyahu is an artist who transcends boundaries – musical, religious and ethnic – and encourages a united world view through his music”, a slight over-exaggeration in self -importance, one that tests the faith. Fair enough for pushing a positive inspirational message though.